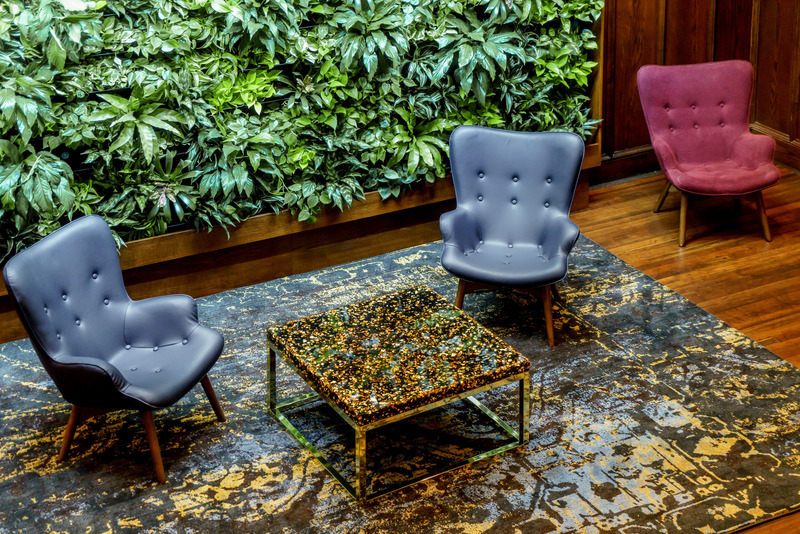 As summer begins to wind down and we return to the office from vacations, we thought we would explore the ever-growing trend of flexible office environments. 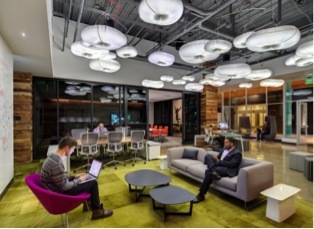 F rom American Express and GlaxoSmithKline, to Facebook and hundreds of other companies, businesses have been shifting away from cubicle-style floor plans to a mix of individual and collaborative work areas. It’s not just the layout of the office that is making a difference. Metropolis magazine’s “The Living Office—The Action Office for the Digital Age” takes a look at a new office system designed by Yves Behar and fuseproject. The design, titled “PUBLIC Office Landscape,” addresses the desire for employees to collaborate at a desk area. This allows individuals or groups to use a desk area equipped with storage bins, mobile privacy screens and more. Way-Finding — Carpet color and patterning can help with way-finding and navigation between spaces, such as down hallways or corridors. Space Differentiation – Carpet can create differentiation between different spaces when moving between such things as office departments or different end-use areas. Acoustics – Open spaces, bereft of offices or cubicles, can sometimes be loud and noisy. 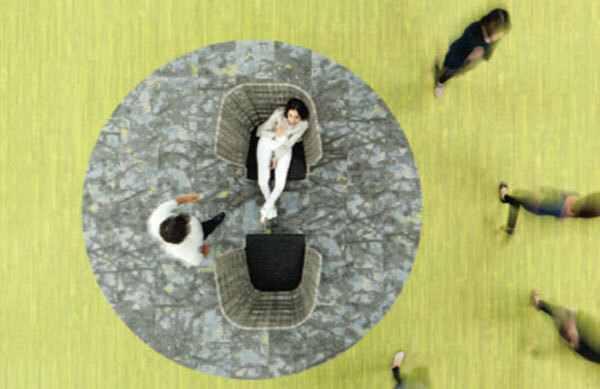 Carpet’s inherent acoustics can also make workspaces quieter, thus contributing to greater productivity. 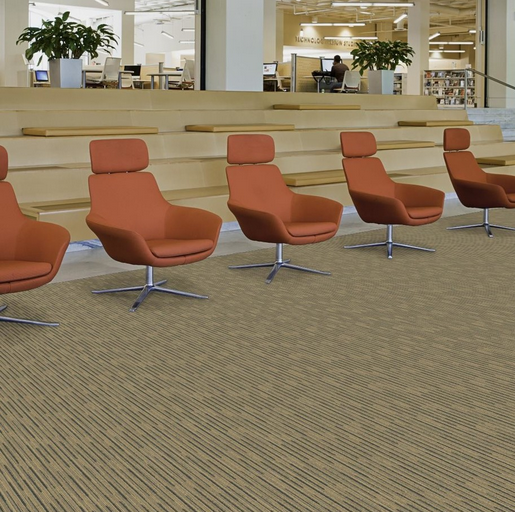 Visual Balance — Carpet provides a nice visual balance and design element when paired with a hard surface such as wood or LVT in an open floor plan – a growing trend in many office environments today. What are your thoughts? Do you work in an open/flexible office? 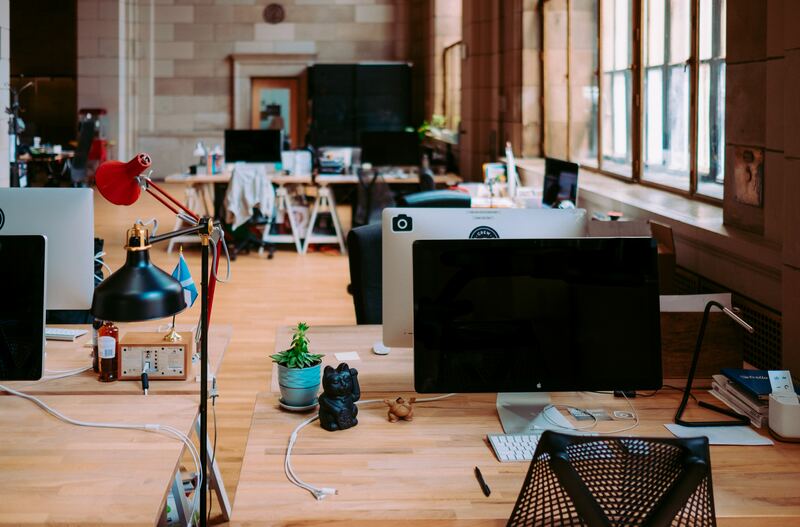 If you specify flooring, how are you using various flooring to create the open, flexible and productive workspaces of today? If you like this story and want to see more, follow us on social media: Twitter, Facebook, LinkedIn, Pinterest, and Instagram. Have you seen the new Zeftron video? This is the first of several educational videos Zeftron is planning for the design community and its mill customers. The short video, aptly titled “An Introduction to Zeftron,” provides a brief overview of Zeftron nylon. You will see how Zeftron can be a resource by providing information and tools on the unique benefits of carpet made with Zeftron nylon. Taken together, no other nylon brand delivers more advantages to the design community and its mill partners. Watch video our video and get to know Zeftron nylon! These are exciting times for the commercial design industry. New colors are constantly being introduced and applied in fresh and unexpected ways. Innovative products – from seating to lighting to flooring — continue to inspire for their form and functionality. 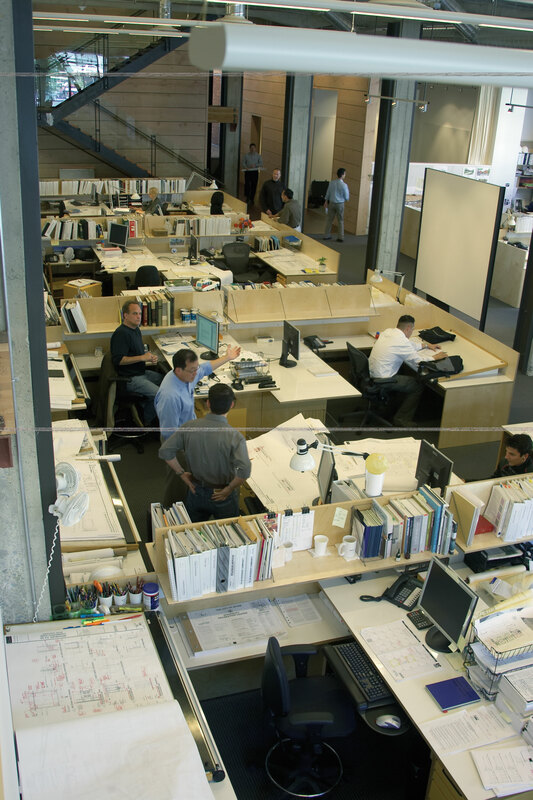 The way we think about the spaces we work, live and play in continues to evolve. In short, architects, designers, and manufacturers are all pushing the limits of what’s possible. We are all rethinking the way in which people and products interact with their spaces. So, what does this mean for commercial carpet products in the new year? We have some thoughts! More Custom Colors and Carpets – Our carpet mill customers frequently ask for new and custom colors, and we are happy to oblige! 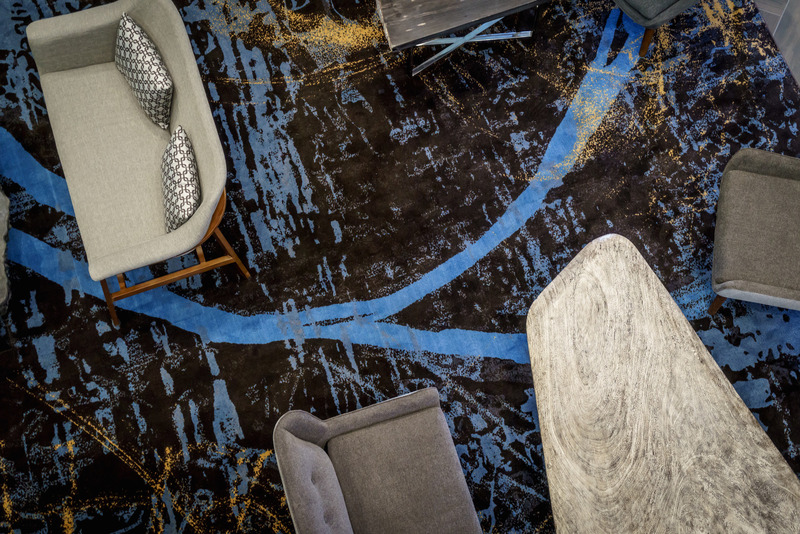 This trend is driven by product design teams and designers who realize that as the most abundant surface for any interior, carpet can play a major role in making a design statement. Custom colors and customized carpets are crucial in making that design statement. Customization can help create a space that evokes a feeling or an experience. As color experts for more than 40 years, we’re proud to be able to work hand-in-hand with our mill partners and designers to help them create the custom colors they desire. Greater Styling Versatility – The “blending” of interior spaces continues. 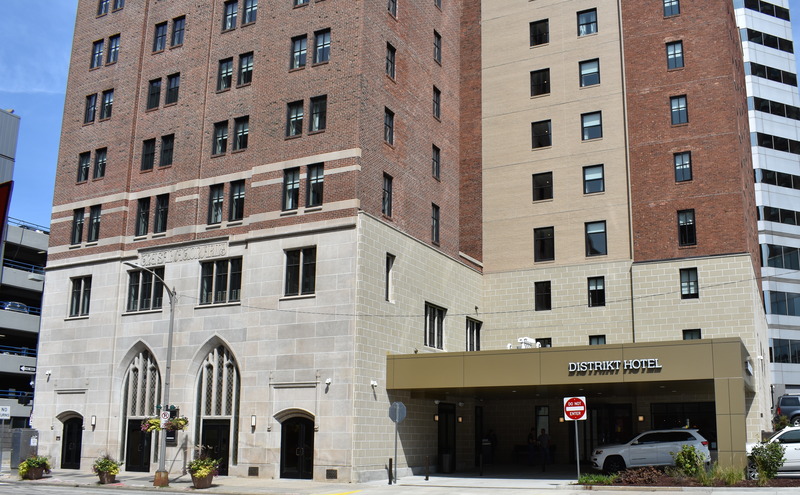 Many offices today integrate a residential or homey feel to them. 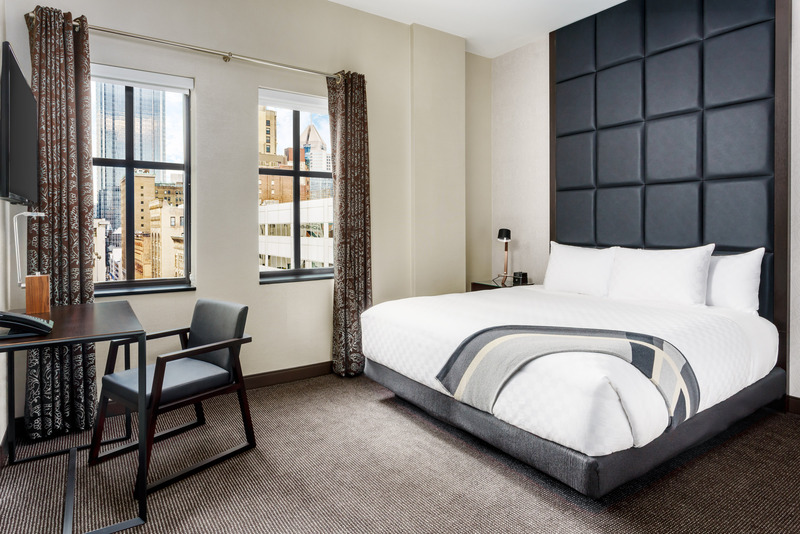 Senior living spaces, while still traditional in many instances, are bringing in themes typically found in a hospitality setting. This new reality requires manufacturers to think differently and develop crossover products that are versatile enough to work in many different end-use spaces. Fortunately, Zeftron nylon is a highly flexible fiber when it comes to styling. 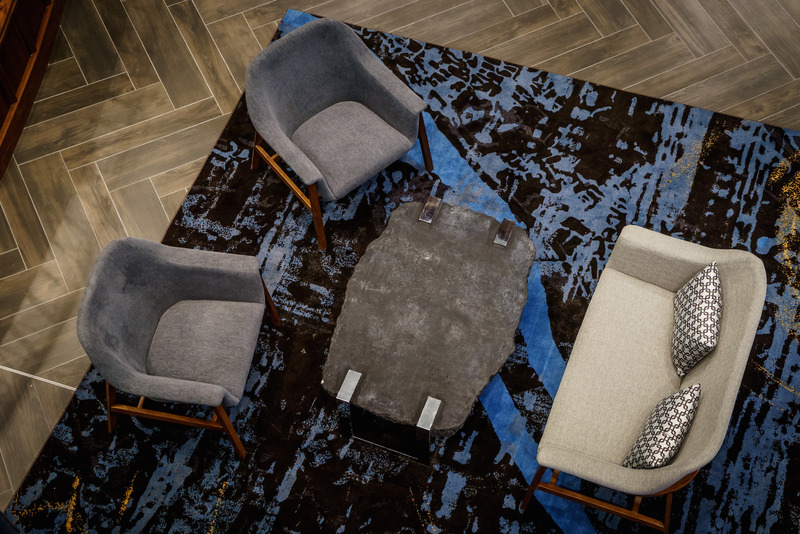 Our fiber enables carpet manufacturers to create products with varying styles, patterns and colorways to easily work across multiple end-use spaces. Exceptional Performance – The more things change, the more they stay the same. Designers expect more from the products they specify today. In addition to customization options and greater styling flexibility, they expect exceptional performance. Zeftron nylon is the only fiber brand that offers designers the piece-of-mind they need when it comes to performance. Concerns about staining, color fading and wear become a non-factor when specifying a carpet made with Zeftron nylon. More Green –One could argue that having a sustainable product is a given in today’s marketplace. Yet sustainability should never be a given or an afterthought. As a fully closed-loop recyclable nylon with a minimum of 25 percent recycled content in every color, Zeftron continues to be a responsible steward of the earth and its resources. We see green not as a trend for 2016, but as a vital part of everything we do every single day, month and year. Zeftron is proud of its history of sustainable achievements. We continue to innovate and find more ways to preserve and protect our earth’s limited resources and offer environmentally responsible choices for the marketplace. That’s one reason we love working with mill partners who value sustainability. BOLYU Contract was named “Environmental Supplier of the Year” by Home Depot, and they use renewable energy in all commercial facilities to meet manufacturing needs. One of the beautiful carpets made by BOLYU with Zeftron nylon is Sierra. Yarn Weight Tufted: 36 oz./yd. One use of BOLYU‘s Sierra made with Zeftron nylon is this installation featuring a custom version of Sierra at the Red Lobster corporate headquarters in Orlando. To find other Bolyu styles made with Zeftron Nylon please reference our Carpet Search tool: the Zeftron Style Guide. Click here to contact a Bolyu rep. To contact Zeftron nylon call Tim Blount at 706-532-2984 or email him at timothy.blount@shawinc.com. BOLYU Contract is the commercial carpet division of Beaulieu of America which was founded in 1978. Today it is one of the largest privately held flooring producers in North America. Originally established to manufacture area rugs, the company invested in yarn extrusion in 1981 becoming the first manufacturer in the carpet and rug industry to produce their own yarn. The company then diversified into tufting carpet (under the brands of BOLYU and Aqua Hospitality Carpets), establishing the factory known today asBeaulieu Commercial in Chatsworth, GA.
For more than 40 years, Zeftron® nylon has continued to deliver more value-added opportunities and advantages to the commercial interiors marketplace through dedicated partnerships, a premium branded nylon 6 product and superior service. Based in Dalton, Ga., the brand brings a history of innovations and unparalleled style, performance and environmental attributes. All Zeftron nylon yarns are closed-loop recyclable, MBDC Cradle to Cradle certified and come standard with a minimum 25 percent recycled content. As part of the brand’s commitment to environmental stewardship, Zeftron nylon makes recycling easy with its 6ix Again Recycling Program – a simple to use, all-inclusive carpet recycling initiative. Zeftron nylon is a part of Shaw Industries Inc., a Berkshire Hathaway company. Zeftron understands how important the right use of color is for a commercial interior project. Color is a powerful tool. It can reinforce a sense of place. It can generate an emotional response. It can even transport us to a different time or setting. Zeftron has been offering proven, perfectly engineered colors to designers for more than 40 years. Our colors range from brilliant reds and bold blues to edgy metallics, crisp hues and wondrous lusters. Our 120 colors offer virtually unlimited coloration possibilities to enable designers to make the design statement they envision for their project. Below are some of the color-specific tools and resources we offer. 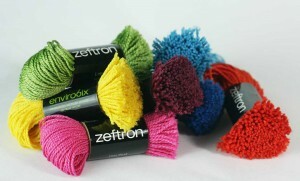 Zeftron Color Palette Pom Set –See all of Zeftron’s colors, including the new additions from the Brilliant Collection and Designer Select Collection all in one chain. Individual Poms – By request, designers can order one or several individual poms to see specific colors. Color Card Folder –See Zeftron yarn samples, color names and color numbers in an easy-to-hold format. E-Color Swatch PDF – View a visually exciting display of all Zeftron colors and names in a PDF format, perfect for saving or emailing. Adobe Swatch Exchange (ASE) – View color swatches of the Zeftron colorline that can be downloaded into design software from a URL or QR code. If you’re interested in receiving or knowing about any of these tools, please contact Zeftron Business Leader Tim Blount directly at timothy.blount@shawinc.com.